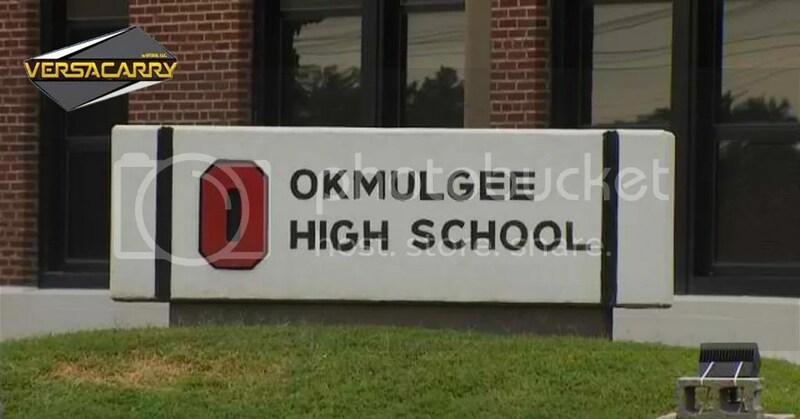 An Okmulgee High School student was arrested for taking a gun to school Monday. Superintendent Tod Williams said a freshman came to class with a gun in his backpack. The student showed the weapon to a friend, and that friend reported it to a teacher. Once the teacher knew, police were called. Okmulgee Police Chief Joe Prentice said the 16-year-old student had a .40 caliber handgun with a loaded magazine, though the it was separate from the gun. The superintendent says the student did not have an agenda or a plan for the gun and says he believes the student brought it to get attention or to look cool. Because the situation was handled so well, without anyone getting hurt the superintendent says it’s a non-incident. He says none of the other students even knew what happened. Williams is calling the student who told the teacher about the gun a hero for being brave enough to report it. “The student that reported it, we’re so proud of because he had the maturity to go forward and say, ‘Hey there’s a problem over here.’ And he felt comfortable enough with our teachers and our staff to report it and that is a great thing,” Williams said. Prentice said the teenager wasn’t initially cooperative with police, but eventually told them he brought the gun to school to sell it to another student. Authorities aren’t releasing the juvenile’s name.